related entities are lazily loaded which creates n+1 select issues if they are needed. The first one can be easily fixed by changing the FetchType of a relationship to LAZY. But that often leads directly into the second issue. If you do not handle lazy relationships between entities in the right way, you will get n+1 select issues which will also slow down your application. But these can be easily fixed as I show you in this free, 3-part mini course. 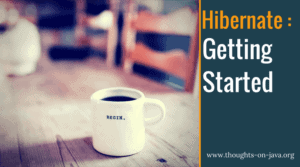 In the first part of this course, I explain what the n+1 select issue and how you can use Hibernate to find these issues during development. In the second part, I show you how to use @NamedEntityGraphs to fix n+1 select issues by defining a graph of entities which will be fetched from the database. In the third and final part, I show you how to dynamically define Entity Graphs at runtime.